When you say Chelsea, you automatically think of blue, Stamford Bridge and John Terry. But the new 2018/19 Away Shirt digs into their history, where a yellow shirt dominated the pitch. It’s not all uncommon for Chelsea to have a Yellow Away Shirt, which dominated their Away Kits in the 1960s. Here it was a norm in a tradition that their Away Shirts were yellow, and this year is no different! 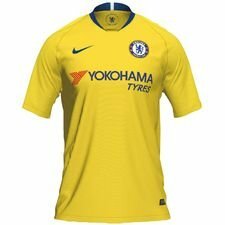 The new 2018/19 Chelsea Away Shirt will tribute the West-London history with their design. 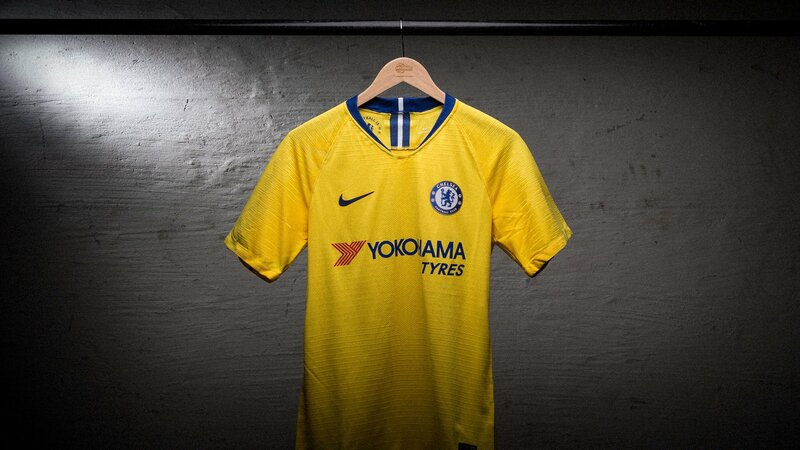 Let’s see what Nike’s first every yellow Chelsea Away Shirt has in store for us. The new 2018/19 Away Shirt is made in full yellow with faded pinstripes running across the shirts, while the stunning Vaporknit pattern adds to the details on the shoulders. Furthermore, the Away Shirt also have a blue collar and blue and white stripes running down on the back of the neck, which makes us think about their Home Shirt and iconic logo. On the inside of the neck the famous quote ‘Blue is the Colour’ and the founding year 1905 is also written. 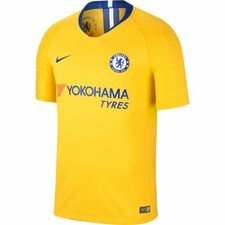 The Away Shirt will be combined with yellow shorts and blue socks, so they will not keep out the legendary blue colour, which Chelsea is known for. Talking about legendary, the yellow Away Shirt has been worn by many Chelsea legends such as, Peter Osgood, known as the king, and Charlie Cooke and the 1970s FA Cup winning team. While Pat Nevin and Kerry Dixon wore it in the 1980s and more known players as Gianfranco Zola and Dennis Wise in the 1990s. Are you also going to get your legendary yellow Chelsea Away Shirt? Then get it at Unisport, it’s available from today.